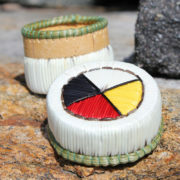 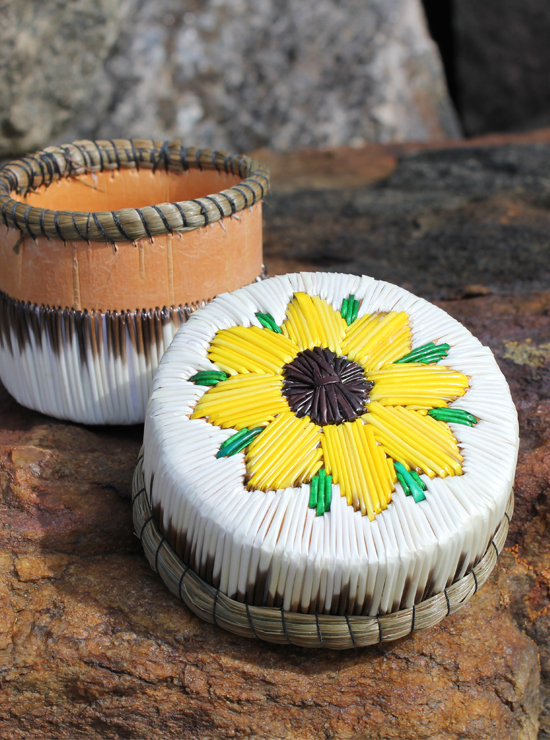 Martha Partridge created this porcupine quill basket. 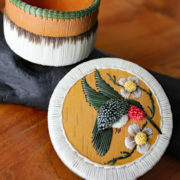 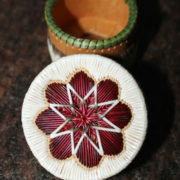 The vibrant yellow flower is striking on the fully quilled lid. 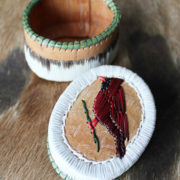 Measures 3″ in diameter and 2.5″ high.